iPhone newbies, we got you! We know that a new smartphone can be intimidating (all those apps!) and hard to navigate in the beginning. No fear, we’ve all been there. 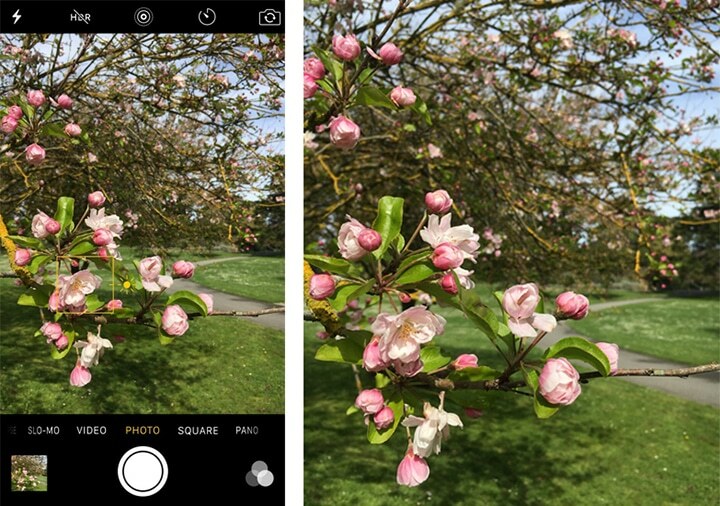 If you’re a rookie iPhone user (or iPad newbie – a lot of functions overlap), these tried and true photo tips will put you on the path to pro-status in no time. Most smartphones automatically detect faces, but sometimes you want to change your picture’s focus. Simply tap the screen where you want the focal point to be, and a yellow square will appear (see above). This area will be in focus, and surroundings will be less sharp. Here, the flowers in the foreground are nice and crisp, and the foliage behind it is soft and blurred. Zoom for maximum vrooom. Use your index finger and thumb to press down on the screen to zoom. Simply move your fingers away from each other, expanding the space between them. As your fingers expand, the screen will zoom in on your subject. To zoom out, move your fingers closer together, “pinching” in the screen. Note: Since the zoom feature is digital rather than optical, it leads to a loss in image quality. Zoom wisely! 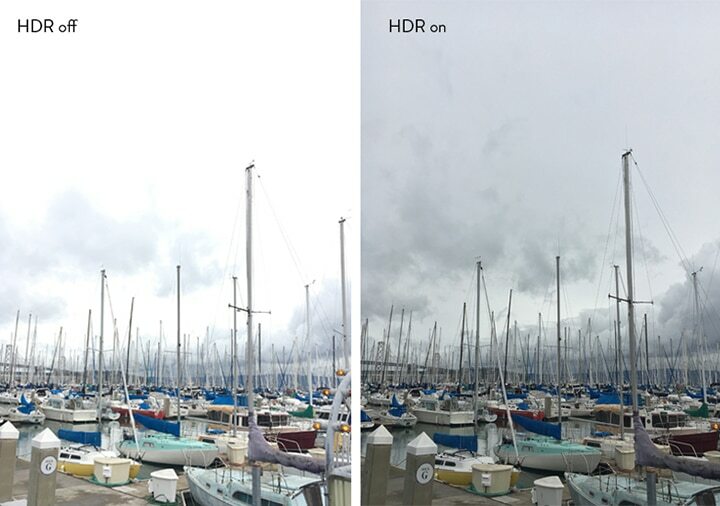 The best way to instantly improve the quality of your iPhone shots is to switch to High Dynamic Range mode (HDR). Select HDR when you’re shooting a subject in front of a strong light source. HDR involves taking a series of photos in rapid succession. The photos are combined into a single image that allows the details of both light and shadow to come through to reveal a crisp, detailed image. See how the sky in the left photo is blown out, but the sky and clouds in the right photo are much more defined? Burst Mode is a handy feature for taking action shots of your kid scoring a soccer goal or your dog running around the backyard. Hold down the shutter button to take 10 pictures every second or so, and release the shutter button when you’re done. 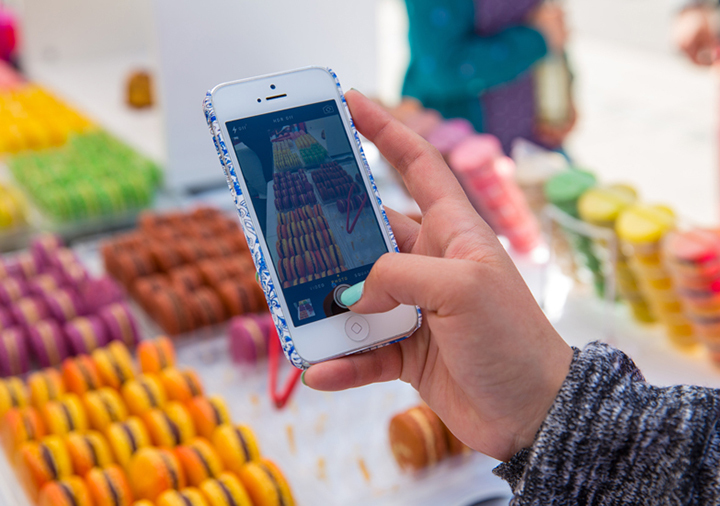 Go into your Camera Roll and tap on the burst mode stack you want to view. 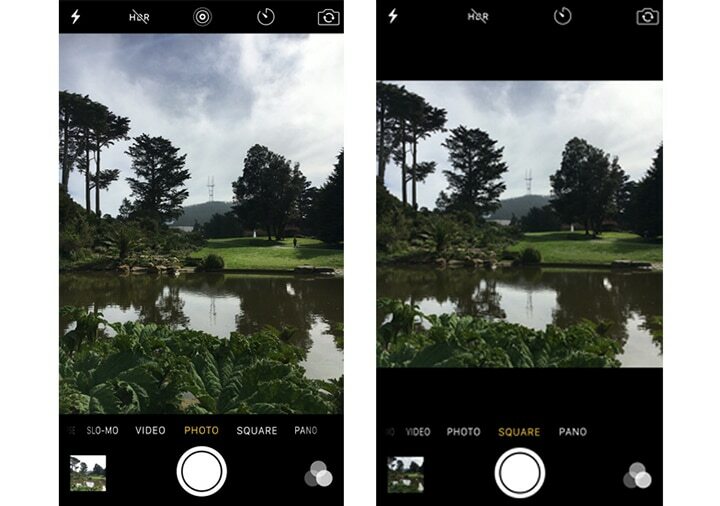 The iPhone has a cool Grid Mode that can help better frame people, pets, horizons – any subject, really. Turn this feature on in your phone’s Settings. 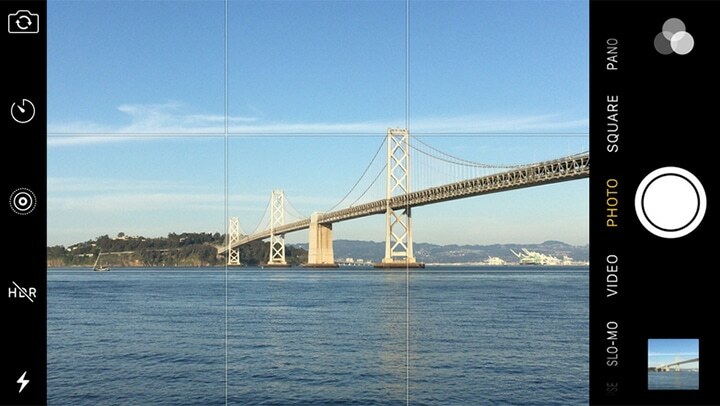 Select Photos & Camera and turn on the Grid option to reveal white line guides. Place points of interest at the intersections of the white line, effectively ensuring your photo adheres to the Rules of Thirds. By following this rule, your photos will be instantly balanced. 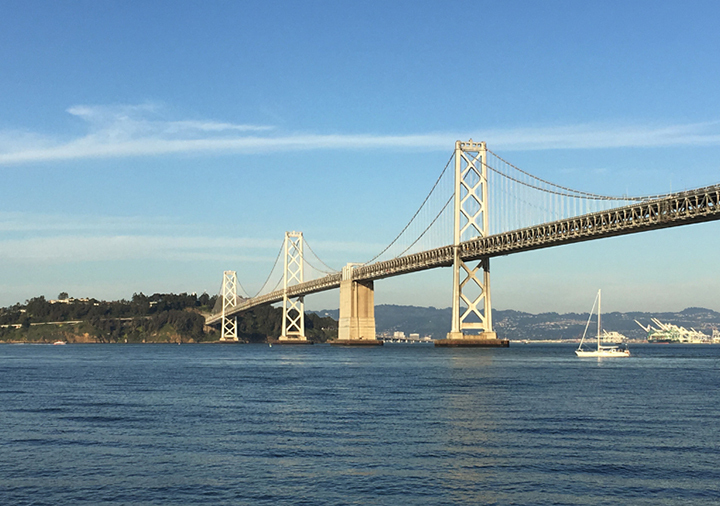 In this photo, the Bay Bridge is positioned in the second and third panes of the frame, rather than spanning across the photos. 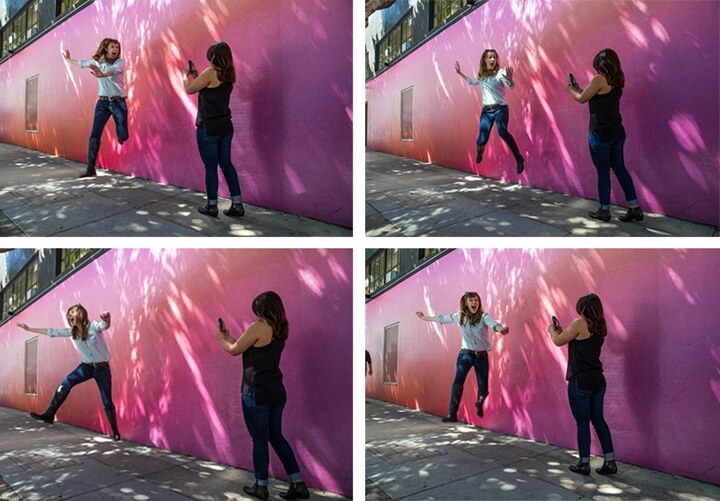 Brilliant job – you’ve officially graduated from iPhoneography 101! Now, bring your photos to life as Wall art, Photo Books, or Prints!